In Projecting a Camera, film theorist Edward Branigan offers a groundbreaking approach to understanding film theory. Why, for example, does a camera move? What does a camera "know"? (And when does it know it?) What is the camera's relation to the subject during long static shots? What happens when the screen is blank? 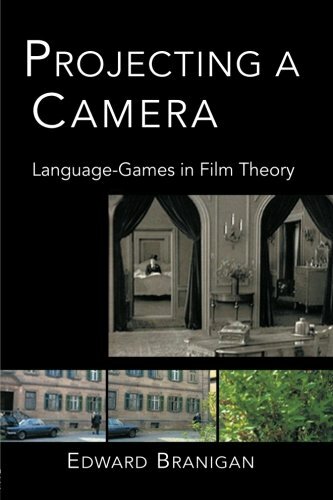 Through a wide-ranging engagement with Wittgenstein and theorists of film, he offers one of the most fully developed understandings of the ways in which the camera operates in film. With its thorough grounding in the philosophy of spectatorship and narrative, Projecting a Camera takes the study of film to a new level. With the care and precision that he brought to Narrative Comprehension and Film, Edward Branigan maps the ways in which we must understand the role of the camera, the meaning of the frame, the role of the spectator, and other key components of film-viewing. By analyzing how we think, discuss, and marvel about the films we see, Projecting a Camera, offers insights rich in implications for our understanding of film and film studies.